Bucky heard the words coming from the HYDRA agent, but he couldn&apos;t block them out. There was a screaming pain in his head as the Winter Soldier was triggered. He was walking up a familiar driveway, up to his house. Bucky kicked the door open, the wood splintering. He had a pistol with him, and there was a click as the round made it&apos;s way into the chamber. Bucky saw himself walking into his living room, where Willow was sitting in her wheelchair. It was like he was a stranger in his own body, he saw himself grab Willow by her throat, lifting her out of her wheelchair and throwing her against a wall, but he couldn&apos;t stop himself. Willow collapsed on the ground, coughing, holding up her hands pleadingly toward Bucky. There was no emotion in the Winter Soldier&apos;s eyes as he raised the pistol and shot Willow through the heart. Bucky woke up with a start, sitting bolt upright in bed. He blinked several times, trying to remember where he was. Then he remembered, he was in his bedroom, and Willow was right next to him. She was breathing, her chest rising and falling. Sighing, Bucky ran his fingers through his hair. He&apos;d had nightmares about attacking his friends before, but never so vivid. He knew that when Willow had restored his memories, she&apos;d also removed HYDRA&apos;s programming, the Winter Soldier couldn&apos;t be triggered again. But that didn&apos;t stop him from having those nightmares. "Bucky? Are you alright?" Willow sat up, cupping Bucky&apos;s face in one of her hands. "Did you have the dream again?" Bucky nodded, meeting Willow&apos;s gentle eyes with his own. "Oh Bucky," She said softly. "That&apos;ll never happen. I promise." 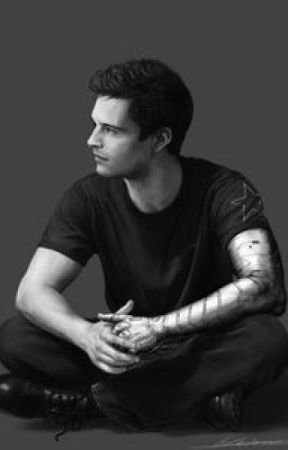 Bucky looked down, and scratched at the skin where his metal arm had been fused to his shoulder. It was an unconscious reaction, something Bucky did when he was nervous or scared, or more often, when he had a nightmare. Willow grabbed his hand, pulling it away from his arm. She traced the scarred and burned skin gently with her other hand. "Stop worrying Buck. Go back to sleep." She laced her fingers through his, gently kissing the top of his hand. "Go back to sleep Bucky." Willow collapsed back onto her pillow, sighing and closing her eyes. Bucky kept her hand in his, laying back down next to Willow. 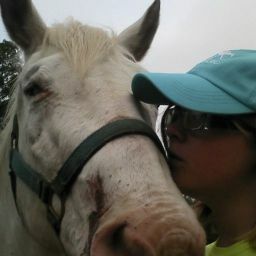 She was alive, she was safe, she was right here, and no one was going to hurt her.